To ask Jo Raven questions, please sign up. I would love to see a short novella about Tyler and Erin.. like Zane and Dakota. I think about Tyler all of the time.. I so hope he is doing good now. would you consider a story about them? Jo Raven hasn't written any blog posts yet. I knew I would never let her down again. I would die for her. I would live for her. I would kill for her. "Dark Child by Jo Raven is a intense read, raw and gritty. This is Mercury's book. 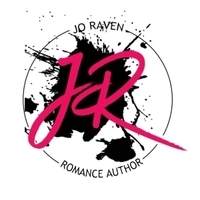 "It’s not a secret that I love Jo Raven’s books. It’s also not a secret that my all time favorite of her bad boys is Zane. Well, Merc almost pushed him from first place. Almost. i loved Tyler too, when is Zane story out? FrAnCisCa wrote: "HI JO I FELL IN LOVE WITH ASHER CRYED LADY CRYED ... I LOVE IT !" HI JO I FELL IN LOVE WITH ASHER CRYED LADY CRYED ... I LOVE IT !